For the first time, Slí Eile is running a summer programme in Jamaica this July. This was made possible through Joe Palmisano’s help, he is a US Jesuit who has been based in Ireland for the last three years. Joe had worked in Jamaica under Fr Jim Webb SJ (pictured here), a Canadian Jesuit with a strong sense of social justice. 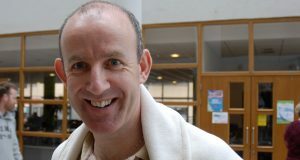 The Slí Eile group will not meet Jim, though, as he is leaving Jamaica to become Provincial of English-speaking Canada. See the profile on Jim Webb in the Jamaican Observer.